As summer turns into fall, and indoor physical activity continues to rise; the Anchorage YMCA in Alaska invested in Exergame to turn up the heat! Founded in 1967, the Anchorage Community YMCA is the only YMCA in the State of Alaska. Despite our name, the Y is not just young people, not just for men and not just for Christians. As a non profit serving the Anchorage community they embrace people of all ages, races, incomes, faiths and ethnic backgrounds. The Anchorage YMCA in Alaska wanted to see how they could bring more physical activity to their youth and adult population . (See: Exergame Locations: Alaska YMCA). Since the installation, they have had a great deal of interest and success with members use of the room. The youth and kids at the Anchorage YMCA wasted no time trying out the equipment and giving us & the staff plenty of positive feedback! Just like most Exergame rooms, these kids won’t even process that they are exercising because of how much fun they are having. Providing kids with a safe and fun area to be active, while parents/guardians workout is essential for any health club/fitness facility. This room not only becomes a focus of the Teen/Tween demographic, but also used for Family Fitness nights! What better way to kick off some family fun then a healthy competition on tWall! You can also view the full photo gallery here. 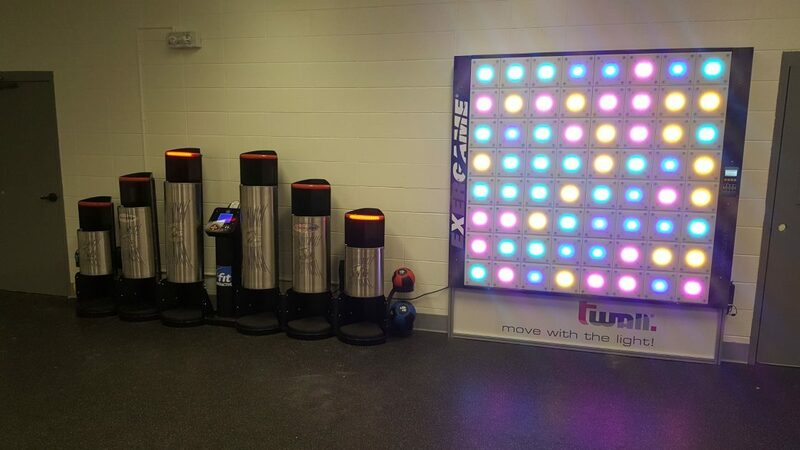 This product mix is an excellent example of how effective an Exergaming space can be, with children or people of any age.